5Dimes is an offshore sportsbook that accepts customers from the United States. They are one of the most trusted betting sites available to American bettors. 5Dimes are one of the few sportsbooks which offer high-limit betting markets with competitive odds. In our 5Dimes review we will cover everything you need to know including signup bonuses, deposit methods, and payout time. Before we get started with our 5Dimes review here is some general information you should know about this sportsbook. 5Dimes is located and licensed in Costa Rica, a country that has legalized and regulated online gambling. This allows them to be one of the few betting sites to accept customers from the United States. 5Dimes is currently open to American bettors located in all 50 states. To get this month’s 5Dimes signup bonus simply click on the April 2019 promo link (here) when you create your account. The bonus will be automatically applied to your account. One thing that we love about 5Dimes is that they offer a wide range of different bonuses for you to choose from. 5Dimes has the best credit card processors out of all the major offshore American sportsbooks. If you have had trouble depositing at other betting sites your card might still work here. You can also fund your 5Dimes account through Bitcoin and Money Order. 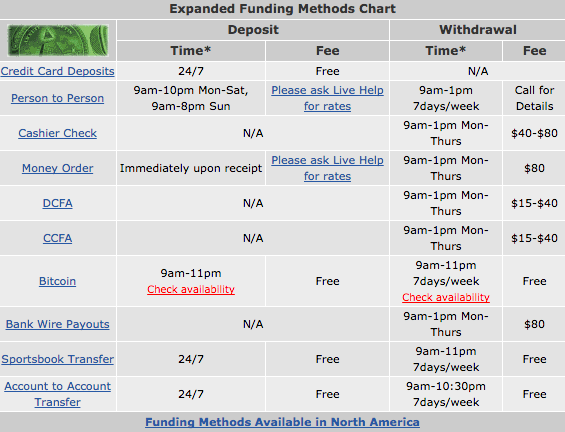 You can quickly withdraw your funds from 5Dimes via check, Bitcoin, or credit card. Express checks arrive in 2-3 days, and standard checks arrive in 2-3 weeks which is relatively quick compared to most US-friendly betting sites. The best payout method is Bitcoin which will be processed in under 24 hours. However 5Dimes do have high withdrawal maximums making it problematic for casual gamblers. You can bet on all the major sports at 5Dimes including football, basketball, baseball, hockey, soccer, and MMA. 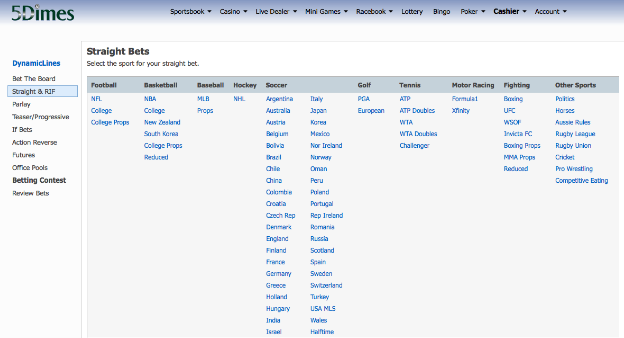 This is the best US-friendly sportsbetting site when it comes to the amount of available games. 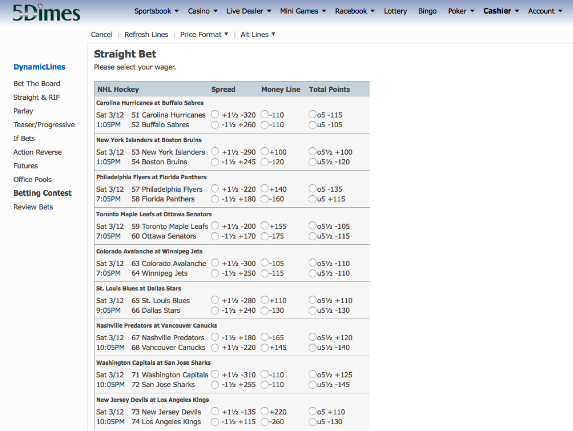 5Dimes is a high-limit sportsbook. Because they are open to taking thousands of dollars of action on their major betting markets they offer competitive odds. Even if you are wagering small amounts this is something you can take advantage of. There are two different livebetting systems available at 5Dimes. Both of them carry plenty of matches for you to bet on in-progress. Compared to other offshore betting sites that accept American customers 5Dimes are one of the best in this category. You can contact the 5Dimes customer support team via live-chat, e-mail, or phone. 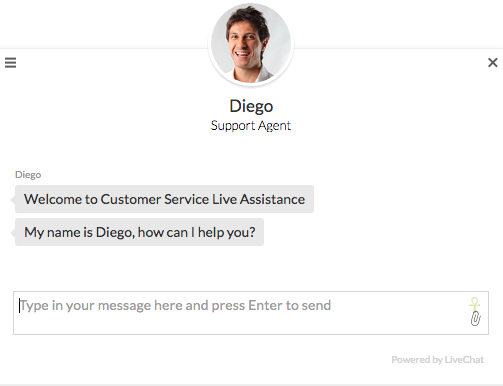 Once you are signed into your account you can initiate a live-chat session with a support agent. Wait times are typically under 60 seconds. 5Dimes is a reliable offshore sportsbook that is open to bettors from the United States.